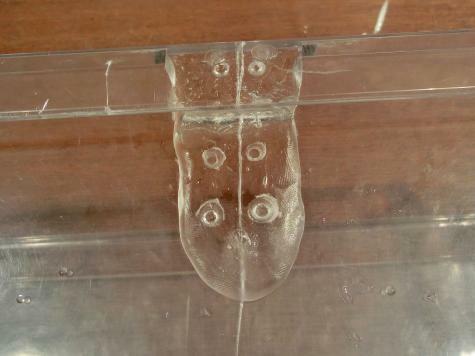 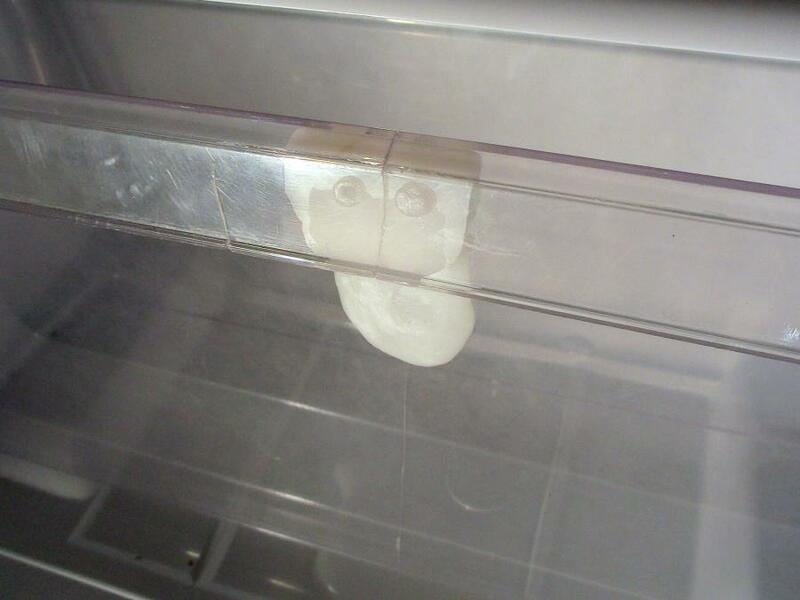 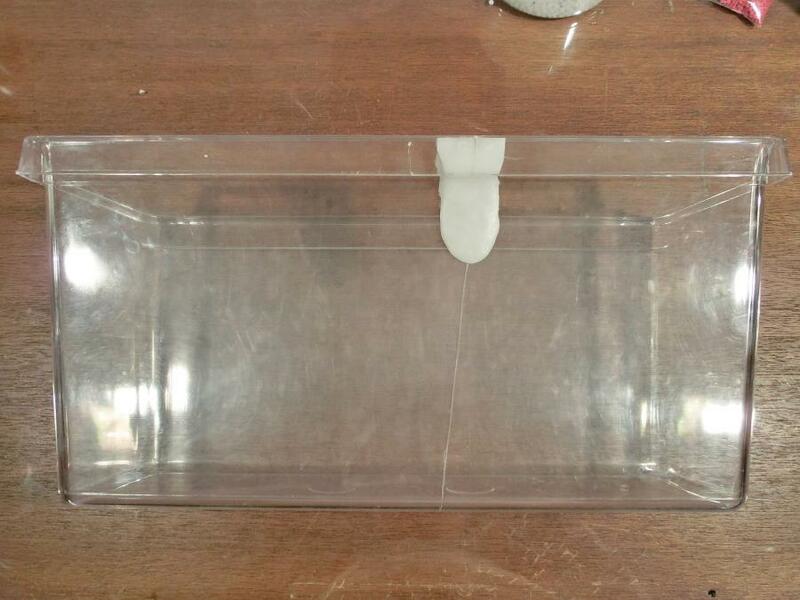 We used some Plastimake to repair this cracked fridge drawer. 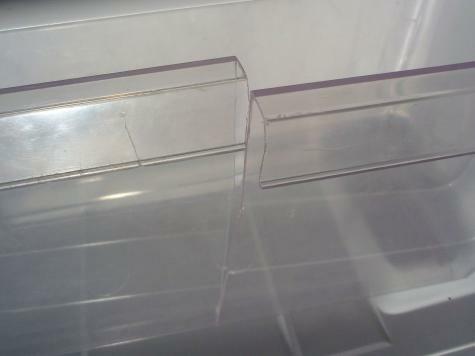 At some point the drawer had been pulled out of the fridge too forcefully, causing a large crack to emerge down the middle of the drawer. 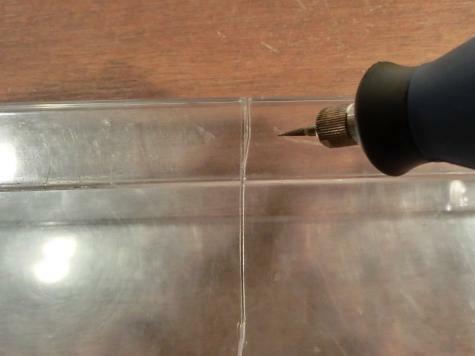 We started the repair by using a Dremel tool to grind six small holes along the edges of the crack. Then we formed some warm Plastimake along the broken area. 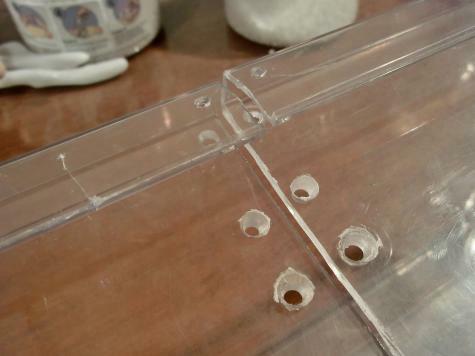 Pushing the soft Plastimake into the drilled holes created small Plastimake "rivets" that hold it all together.